It has been more nearly four decades since I returned to work from a noon union meeting to find myself, along with about twenty others, locked out of the printing plant where we worked. Thus began a labor dispute that began in confusion, descended into torpor and ended in disarray. The difference between labor and management at the time the dispute started was miniscule; less than twenty-five cents an hour. When a union rejects an employer’s last and final offer the employer is entitled to prevent employees from returning to work–hence the term “lock out,” which is now familiar to millions of Americans because Americans making millions–pro football and basketball players–have both been locked out in the past few years. 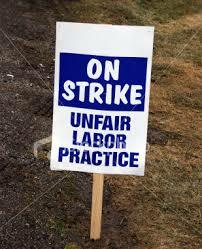 When we learned we’d been locked out, we organized a picket line, as was our right. For five weekday shifts of three hours a day each union member would receive $100. Not a big weekly wage, even in the mid-70′s, but if you found a part-time job or one with night hours, you could do all right. 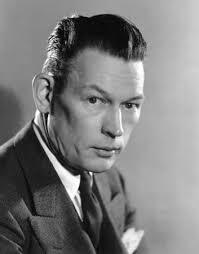 Our picket line was set up not on a city street but on Route 20 in central Massachusetts; to steal a formula from radio comedian Fred Allen, a nice place to visit–if you’re a truck. There are no sidewalks along that highway, which was originally the Boston Post Road, the first mail route between Boston and New York, and which subsequently developed into a major trucking route. With no foot traffic, our picket line was visible only to cars and trucks speeding by, and we must have struck passers-by as pathetic, or even ridiculous. The scenery rarely changed except for the weather and the flora; in the winter the field beside us was covered in snow, and in the summer a few blue cornflowers bloomed. I recall once or twice people stopping their cars–at significant personal risk–to give us donuts. More frequent were uplifted middle fingers–the state bird of Massachusetts. 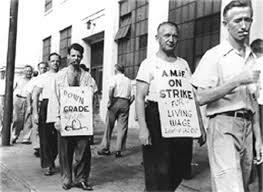 In the United States picketing is legal as long as workers do not intimidate others or obstruct a public way; hence, the need to keep moving, so as not to block other’s passage. As is the case with most employers, the owner of the printing company hired an off-duty policeman to make sure we complied with that requirement, but given that the only object likely to cross our picket line was a truck, we eventually worked out a compromise. As long as we didn’t throw nails in the driveway, the cop wouldn’t force us to keep moving. In another, less isolated location, our picket line might have attracted students, politicians or even an entertainer or two; the young and idealistic, and those who live by publicity and like to make a show of solidarity with the working man. A forlorn stretch of highway an hour’s drive from Boston is, as you can imagine, an inconvenient forum for grandstanding by elected officials and actors. If you are planning on picking a fight with an employer, my recommendation is that you consider not merely location, but also the season. Picket lines are manned (and womanned) by human beings, whose enthusiasm for concerted action may be expected to cool along with the temperature. We chose the month of November to take a stand, which meant that we were soon walking in a New England winter. You learn a lot about a person when you’re assigned to walk with them in the cold and they skip out on you; to paraphrase an old country song, when nobody shows up, I’ll know it’s you. For the most part, such absences passed without comment. Our shop steward, who received and handed out the strike pay, might give someone a look of disapproval as she handed over his weekly check, but she had kids, and couldn’t spend her off hours taking attendance, and we weren’t going to turn each other in; it would have made what was a boring task into an unpleasant one. As one considers the various players in the drama that a picket line affords, the difference in economic status begins to grate. The plant owner, who ultimately decided to sell his business, made out all right. 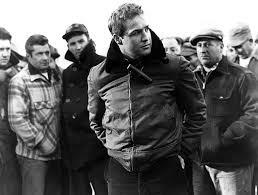 The union bosses drove nicer cars and had nicer clothes than we did. The lawyers for the two sides, we were told, were paid hundreds of dollars an hour–a sum beyond our wildest dreams of avarice–and yet nothing of consequence ever seemed to happen as a result of their efforts. Ultimately, running a union is a business, and the men who controlled our union weren’t going to pay us to picket forever. Just as we had been locked out of the plant, we were eventually told that we would receive no more strike pay. 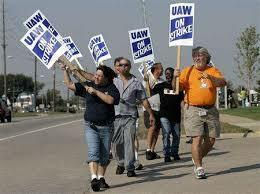 We could continue to walk the picket line, but there’d be no money in it. At about that time the National Labor Relations Board handed down its decision; the owner was within his rights to lock us out, and our claims of unfair labor practices were denied. We could go back to work at the hourly wages that had been in effect when the dispute started, but none of us would receive back pay–except for one man, Hector, who had not yet become a member of the union when the dispute started, nine months before. The boss’s actions were deemed unfair in his case. I got nine months’ worth of strike pay for my time on the picket line, plus the material for a play that has been performed twice in New York but never in Boston or Worcester, a prophet being without honor in his own country, I supposed. It’s ironic that each time the cast was composed entirely of non-union actors. I paid them only what I could, not union scale, and still lost money. And second, if you pick cornflowers for your girlfriend, by the time you get to her apartment they will have lost their blue color and turned a mottled, grayish white. The bloom fades from some bright ideas more quickly than others.